“Technology cannot hug a repeat guest,” said George Aquino, the vice president and managing director of AHC+Hospitality, formerly the Amway Hotel Corporation, based in Grand Rapids, Mich.
That is the reason his company, which manages several hotels, has been running a training program for some of its managers and other staff members to improve their hospitality skills, connect with local business leaders and learn more about local tourist offerings. Technology, some hotels are finding, has its limits. 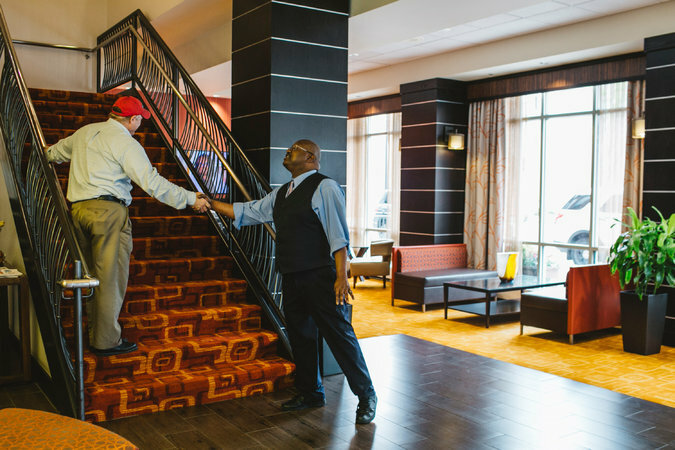 Similar programs are sprouting in other cities, involving not just hotels but also restaurants and even cities themselves, which see the personal touch as giving them a competitive edge. For business travelers, in particular, talking to someone knowledgeable about a city can lead to a good restaurant. And it can also help expand business leads. Andrew Hampe of Chicago, who previously worked for Amarr, a manufacturer of industrial overhead doors, spoke of one particularly social bartender at the JW Marriott Grand Rapids, who knew local business leaders. The program is run by Temple University’s School of Sport, Tourism and Hospitality Management. In an email, Elizabeth H. Barber, an associate professor and executive director of business development and partnerships, said about 260 people had recently enrolled in the program, which also offers certificates. “People interested are from the hospitality industry, restaurants, recreation centers, parking services, and a variety of other industries,” she wrote. Mr. Bruno said that the state of Pennsylvania, which owns of the city’s convention center, called the Pennsylvania Convention Center, had initially hired him in 2010 to develop training to make staff members more hospitable and informed. He trained about 1,000 workers over a two-year period. The convention bureau then asked him to develop a video training program for workers across various hospitality industries. One issue, he said, was that workers did not understand that they are part of a tourism landscape. “That’s a revelation to people, that they are part of a hospitality community in their own cities,” he said. Some cities hire Treat ’em Right, Mr. Bruno said, because of what he called “self-esteem issues,” helping workers believe their city is worth visiting. Generational differences also create a need, Mr. Bruno said. “Millennials just want information,” he said. “They don’t want to go through the trouble of going to people and their filters to get it,” preferring kiosks over clerks, while veteran business travelers still want personal encounters. Some cities and regions have developed their own programs aimed at increasing the number of conventions and ensuring that visitors have a positive experience. Among them is the Destination Champions program developed by the marketing organization Discover the Palm Beaches to increase convention activity in Palm Beach County, Fla. The program encourages local business leaders to promote the county as a convention destination whenever they are traveling on business. Other places developed programs for specific time periods, then continued them. Detroit created “The World Is Coming to Detroit” when the city was the host of Super Bowl XL in 2006, then used a version of the program for several years. According to Michael O’Callaghan, the executive vice president and chief operating officer of the Detroit Metro Convention and Visitors Bureau, the program began as a hospitality training program for the bureau’s 800 members but eventually became a seminar series that has recently focused on social media and other topics. A consulting program based in Tucson, Certified Tourism Ambassadors, trains hospitality workers. Mickey Schaefer, the chief executive and founder, said she had developed the idea in 2006 while working for the American Academy of Family Physicians to plan its conventions. Hospitality workers sometimes did not know their own cities, leading to bad experiences, she said. Ms. Schaefer said she and a colleague developed the program, which includes workshops that look at hypothetical itineraries. 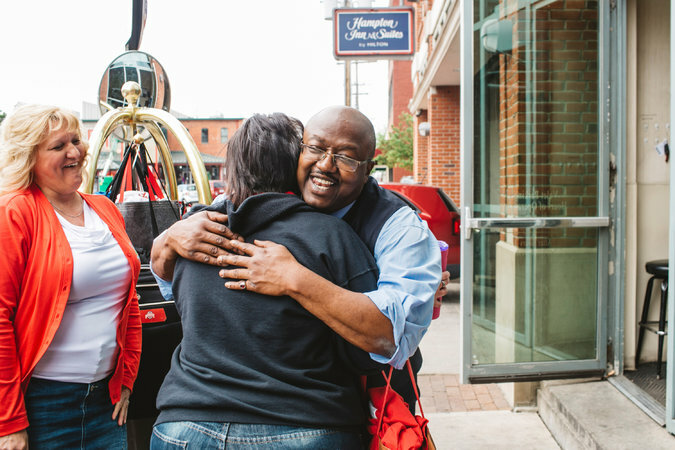 Clifford Steward, a bellman at the Hampton Inn and Suites Columbus-Downtown in Ohio, participated in the program. He said he had people skills but wanted to know the city better. Chuck Gose, the vice president for business development and partnerships for the business communication app StaffConnect, said Mr. 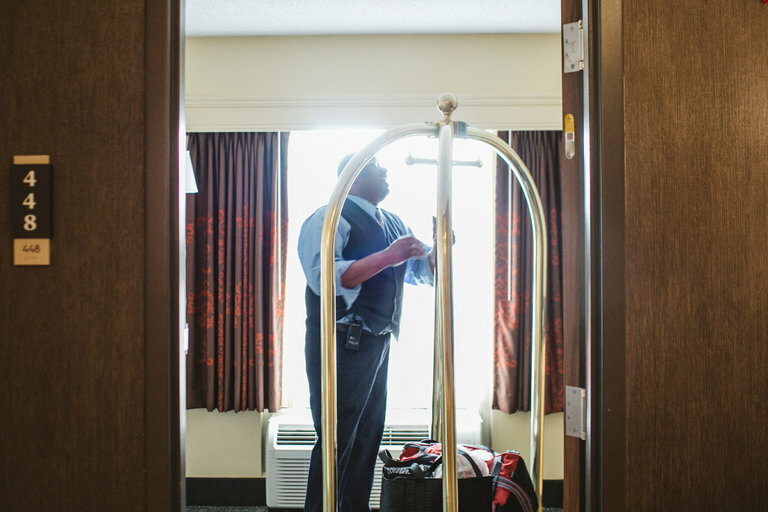 Steward was the reason he stays at Hampton Inn and Suites. “When I think of somebody being a true ambassador of a city, he comes to mind, because whether I go back for business or whether I go back with my family, that’s where I am going to go stay,” Mr. Gose said. An article on Tuesday about hotels that are training workers to improve their hospitality skills misstated the name of Philadelphia’s tourist bureau. It is the Philadelphia Convention and Visitors Bureau, not Discover Philadelphia. 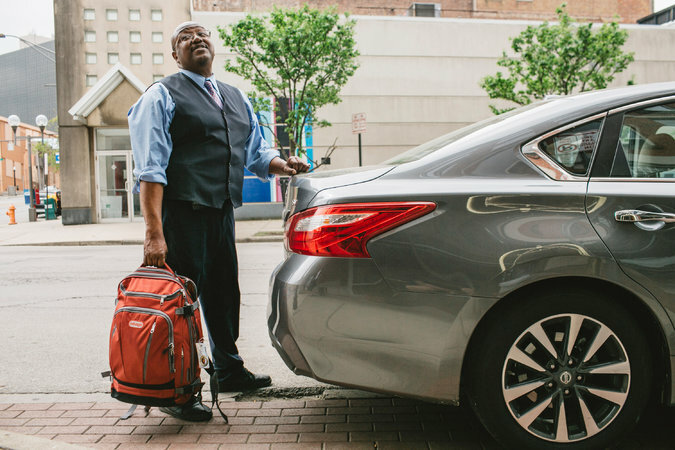 Clifford Steward, a bellman at the Hampton Inn and Suites Columbus-Downtown in Ohio, in April. He participated in a hospitality training program to learn more about the city.